COLUMBIA, S.C. – Citing the deadly mass shooting in Las Vegas, South Carolina’s capital city approved a ban on “bump stock” devices that allow semi-automatic weapons to mimic fully automatic guns. The measure was approved by Columbia City Council on Tuesday night. Mayor Steve Benjamin has said he thinks the city of 134,000 people is the first to ban bump stocks. 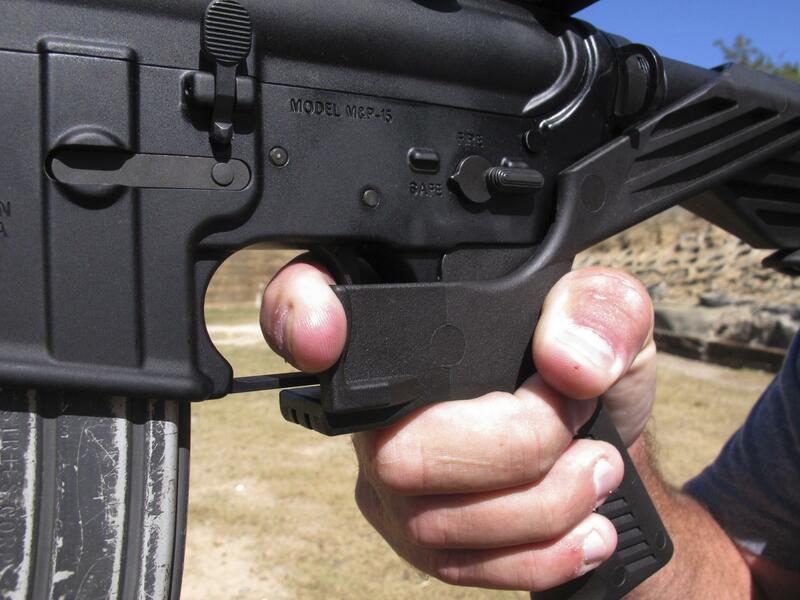 The ordinance makes it a misdemeanor to use bump stocks or a separate device called a “trigger crank,” both of which can be attached to guns to increase their rate of fire. A person could legally possess a bump stock if it’s not connected to a gun and stored in a separate case. Officials with the National League of Cities were not aware of any other cities that have banned bump stocks. Spokesman Tom Martin noted in an email Monday that many cities are prevented from passing ordinances that go beyond state law. South Carolina does not regulate bump stocks. There are statewide bans on bump stocks in Massachusetts and California. The Columbia ordinance lays out an argument that it fits with a South Carolina law that prohibits local governments from regulating guns or their parts. The city’s ban states that bump stocks and trigger cranks do not fall within the definition of a gun or component because a gun can operate when bump stocks are removed. The state’s highest court has previously invalidated a local ordinance that went beyond state law. In 2010, the South Carolina Supreme Court struck down a Myrtle Beach ordinance that required that motorcycle riders wear helmets, with justices ruling the city could not require protective gear in the absence of a state law. Authorities say the gunman who opened fire on a Las Vegas music festival in October, killing dozens and wounding hundreds of people, had equipped a number of guns with bump stocks. The device, which fits over a semi-automatic rifle stock and grip, allows the weapon to fire at a rate similar to a fully automatic weapon. Published: Dec. 20, 2017, 8:18 a.m.